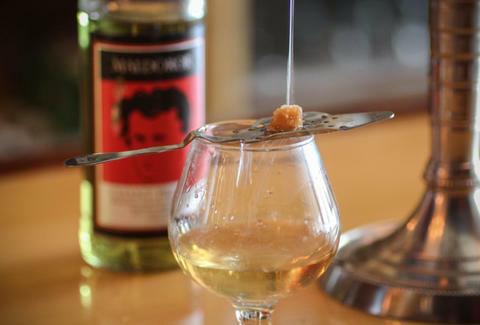 Quick -- when we say "absinthe", what's the first thing that pops into your head? If it's the LA-based all-girl rock band, just quit reading right now. If it's the supposedly hallucinogenic, formerly-illegal, insanely-high-ABV spirit, however, then by all means, read on to learn about the greatest vacay you will ever take. This is absinthe. Some people think it's creepy, probably because of the fire aspect, or because it was banned for nearly a century, or the fact that Johnny Depp totally trips balls on it in From Hell. 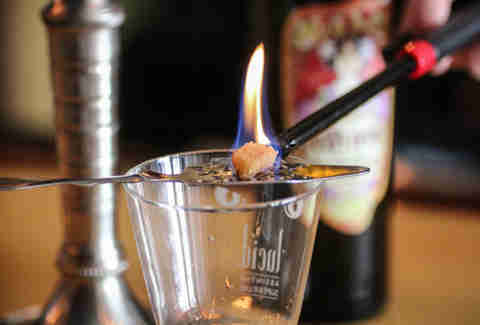 Truth is, the actual absinthe never gets set on fire (just the brown sugar cube), many of its "hallucinogenic" properties came from chemicals added to bootleg versions when it was banned, and Johnny Depp's character was all hopped-up on heroin in that flick. 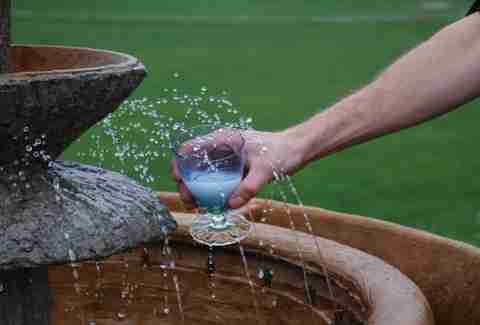 Although Prague's also got quite an absinthe scene, its historical epicenter is a small section of the Franco-Swiss border which's been revitalized since absinthe's global re-birth. 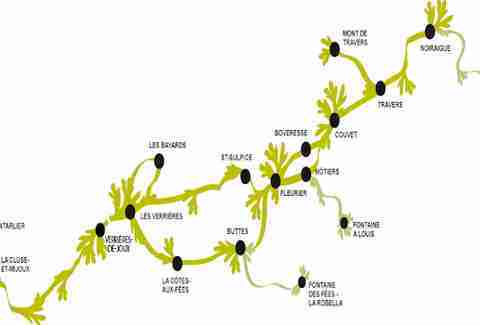 Thanks to some French/Swiss teamwork, RoutedeLAbsinthe.com was born, in order to guide people to the 20-plus waypoints along an actual 25mi-long trans-border trail. 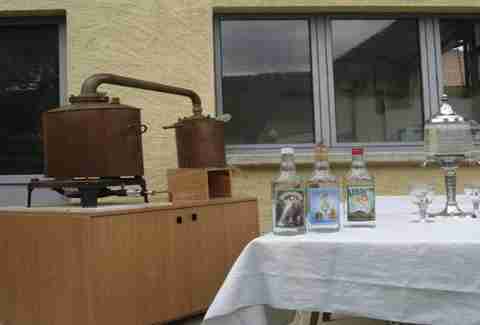 The last family-owned biz in Pontarlier, France, the Pierre GUY Distillery was founded in 1890 by Armand Guy and has been run by four generations since. And they're not just a one-trick pony, as these dudes also make traditional liqueurs, aperitifs, preserved fruits, and something called "eaux-de-vie", which means "water of life" (note: too much will make you feel like death). 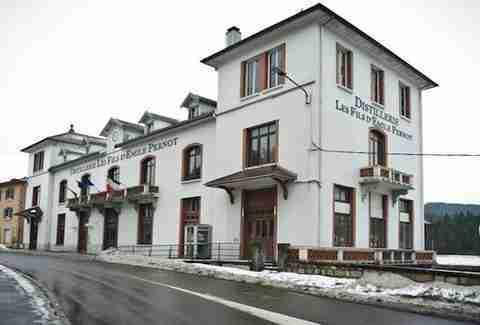 La Cluse-et-Mijoux, France is home to Les Fils d'Emile Pernot distillery, which has been in the absinthe game since 1890. 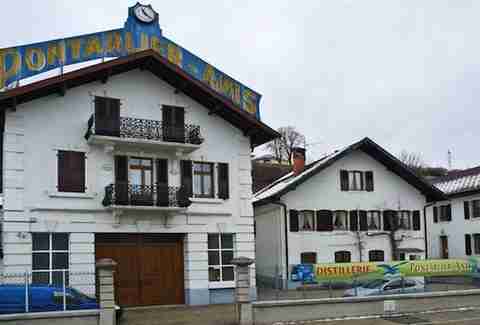 Cross the border into Switzerland and you'll hit the home distillery of René Jeanjaquet in Les Verrières. 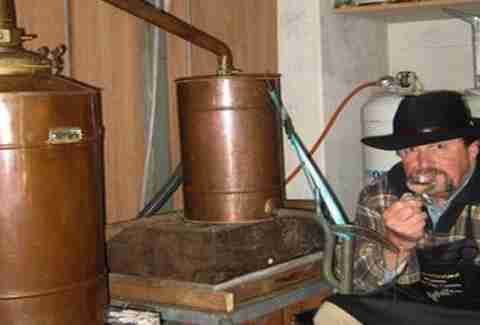 Dude's been brewing since '62 and, though he'll open the doors for ya and even sell you some hooch, he's technically retired now. Another mom-and-pop shop, this time in the country town of Bayards, Pierre-André Currit uses a generations-old fam recipe in his absinthe that'll have you saying, "Mmm, mmm, mmm... Just like Pierre's Grandma used to make." 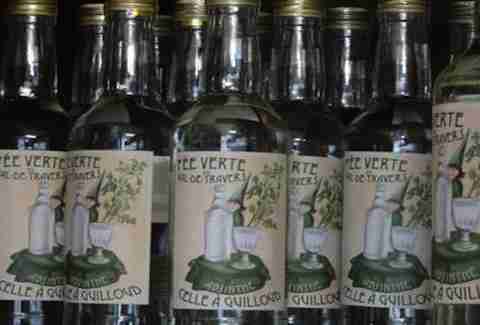 Fleurier's home to award-winning distiller Daniel Guilloud, who's famed for his colorless absinthe Celle à Guilloud -- so good, it leaves all other absinthes green with envy. 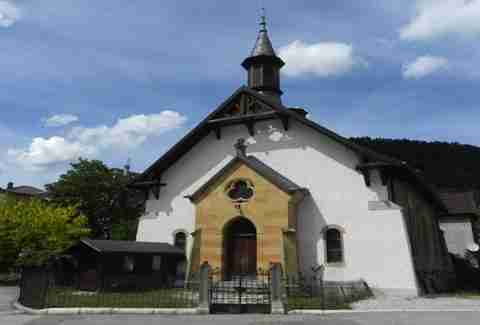 Your eyes do not deceive you; the FATA Distillery is located in an authentic chapel in Feurier. 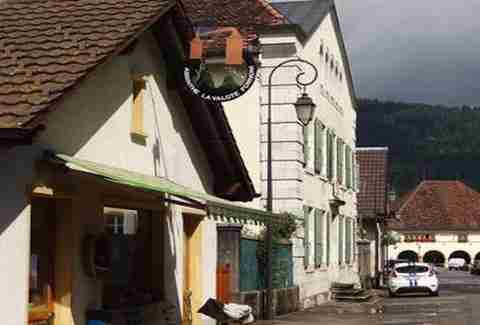 Môtiers is home to Yves Kübler, whose great-grandfather started the Blackmint, Kübler & Wyss distillery in 1863. Yves restarted it in 1990, a fact that can be directly attributed to the Minnesota Twins winning the World Series in 1991. 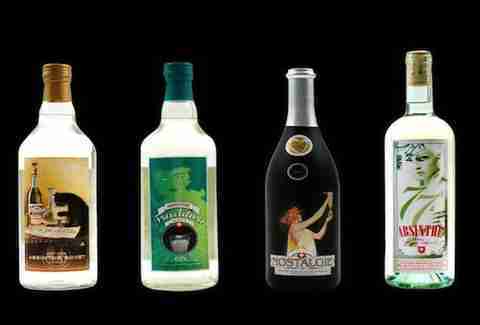 Willy Bovet was a long-time underground distiller probably until his tunnel caved in Môtiers who totally capitalized on absinthe's legality with four famous varieties: La Tradition, Le Chat, Nostalgie, and Septante 7. Still in the absinthe hotbed of Môtiers is artisinal distiller Valote Fornoni who tries to "preserve the myth of the Green Fairy and produce a genuine absinthe of outstanding quality"... as evidenced by his 2009/2010 gold medal at the international Distiswiss competition. More Môtiers -- this time at Le Petits Prés, a distillery cooperative. 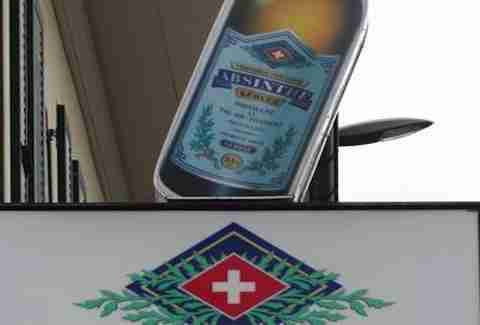 Man, those dudes LOVE their absinthe. 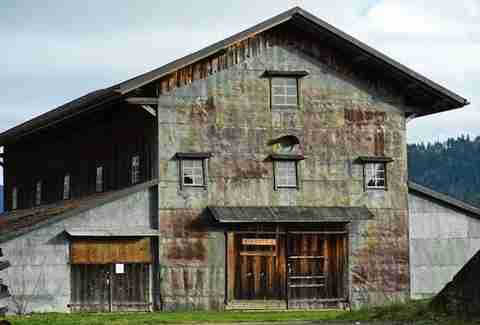 The last stop in Môtiers is at La Môtisanne Distillery, which's actually just the barn of a dude named Roger Etienne. Although not an actual distillery, the Boveresse Drying Barn's a pretty good way to find out about how the plants that go into absinthe -- most notably wormwood -- are grown, dried, and prepared for use. 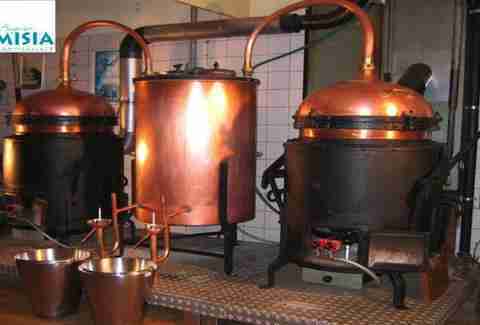 According to some, Couvet is where absinthe originates, and what Artemisia-Bugnon Distillery lacks in size it makes up for in craft, as their absinthe lives up to that heritage. It even won the Golden Spoon (a good thing!) 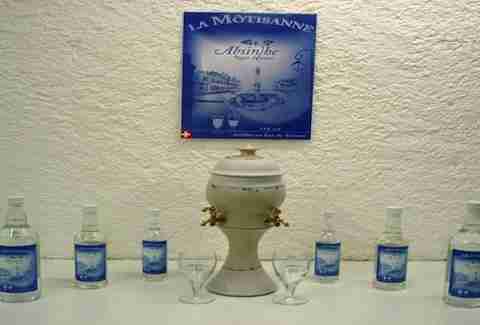 at the Absinthiades Festival in Pontarlier for five straight years. That lady in the picture is Gaudentia Persoz, and she actually calls herself the Green Fairy, partly because she thinks it's a radical name, and partly because she's the first female distiller of legal absinthe in Switzerland. 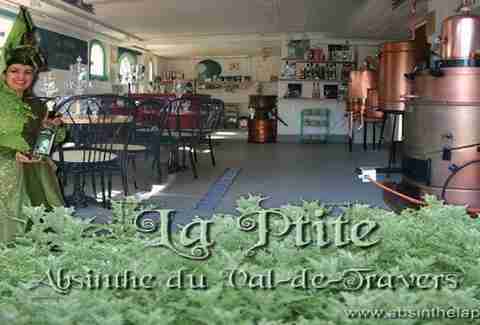 She makes four different types at La P'tite in Couvet. 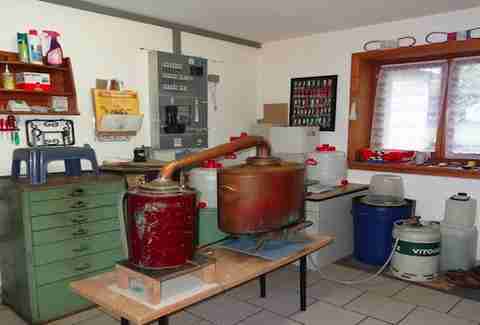 When the Absintissimo Micro-distillery says "micro", they mean it, but you don't need to be huge when what you're doing is recreating artisan absinthe made by regional bootleg producers. Saving the best (or at least the nicest looking) for last, rounding out the trail is a historic house in Couvet, where there's a "cellar museum" and a production distillery called 55 Degrees -- not to be confused with 98 Degrees (aka, the band that the dude who thought Absinthe was the all-girl rock group earlier is likely listening to at this very moment).